New York.- The annual Spring Luncheon-Fashion Show of the Archdiocesan Cathedral of the Holy Trinity Philoptochos Society will be held Tuesday, May 9 at the Hotel Pierre beginning at 12 Noon. The event, which traditionally attracts guess from throughout the Metropolitan area, will feature Cornish Furs and designer Chris Kole presenting a preview of next season’s fashions. 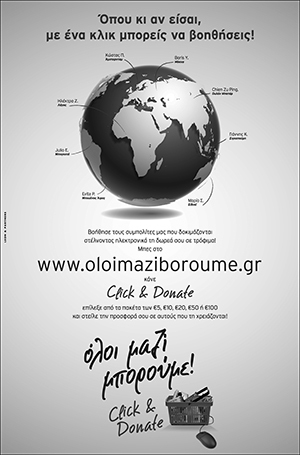 According to co-chairmen Catherine Moutoussis and Maro Stratakis, the proceeds will benefit several Philoptochos philanthropies including the ”Feeding of the Homeless”, Ronald McDonald House, assistance to numerous individuals with financial and medical problems and support of National Philoptochos commitments. For information and reservations call the Cathedral Office: (212) 288-3215.